She began the adventure with Xena as an EVS volunteer in India in 2012 and continued to develop skills in adult learning, skills recognition, non-formal education, decision-making processes and deep democracy. 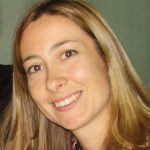 Active in many Erasmus+ (and previous programmes) projects aimed at young people and adults on the themes of interculture, social inclusion, dialogue and contrast to prejudice, she could here apply her university studies. She supports the Coexister Europe network, local initiatives of interreligious dialogue and the Council of Europe campaign No Hate Speech Movement, of which she is the coordinator for Veneto region. 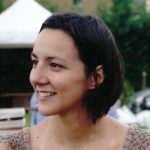 Daniela has experience of international and local coordination and is active in cultural projects and community activation; she is among the creators of the game for groups and communities created by the Go Deep Project. In addition to the activities with Xena, she coordinated residential and animation experiences for disabled people and participated in artistic collectives. Hobbies: theater, photography, writing; she reads (and we know she writes) many poems.